If you’ve been searching for Christmas cards that will stand out from the crowd, look no further! These are the fabulous holiday cards that I have my eye on this season. They’re Christmas cards that literally make you look twice! The gorgeous unique styles and high-quality paper of these special holiday cards is what captures my attention. You’ll feel proud to send any one of these chic designs to family and friends to make their holiday season merry and bright! 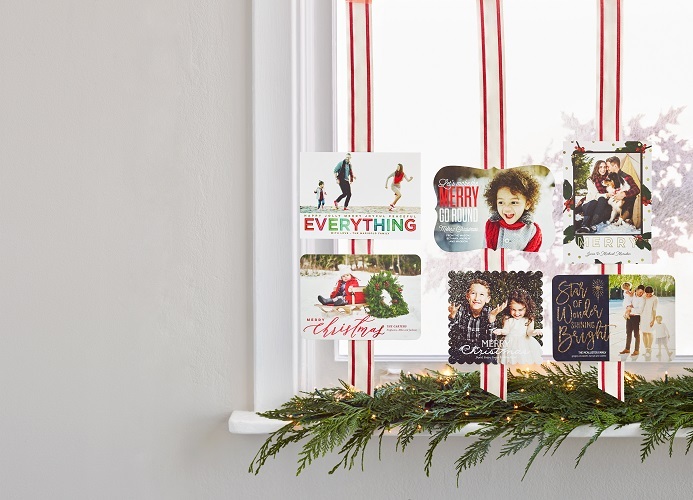 And if you’re sending out a few dozen Christmas cards or holiday postcards this year, you can change things up a bit by sending a different design to different households. Get creative and have fun. Appreciation, gratitude, hope and celebration are sprinkles of delight that help make this winter season so incredibly special. And that’s why at the bottom of this post I’ve included a special Christmas gift just for you. 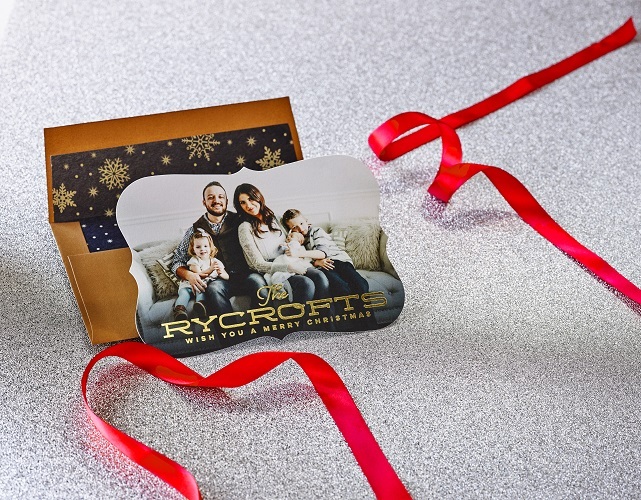 It’s a FREE printable Christmas card that you can conveniently print right from home. From my hearth to yours, Happy Holidays! Disclosure: This site contains affiliate links. If you make a purchase I may receive a commission. Oh my goodness! There’s just so much love on this page. I absolutely adore this style of holiday cards because it’s so uncommon and unique. And just look at those beautiful, crisp designs and thick envelopes. For me it’s love at first sight! Everyone looks forward to receiving beautiful holiday cards! And my family is no exception. When it comes time to shop for the perfect set of Christmas cards to mail out to others, I prefer cards that are printed in vibrant inks on card stock that’s nice and thick. And I’m always keeping an eye out for quality envelopes too. Because a great envelope is something of beauty all on its own! Holiday Cards That Make You Look Twice! Now how darling are these Christmas cards? Seriously. Each one is super special. I really can’t pick a favorite because I love them all! Which one will you choose? These holiday greeting cards are extra special. Just one look will tell you why. The ultra fabulous designs are far from those ordinary cards that you can pick up at any convenience store in town. 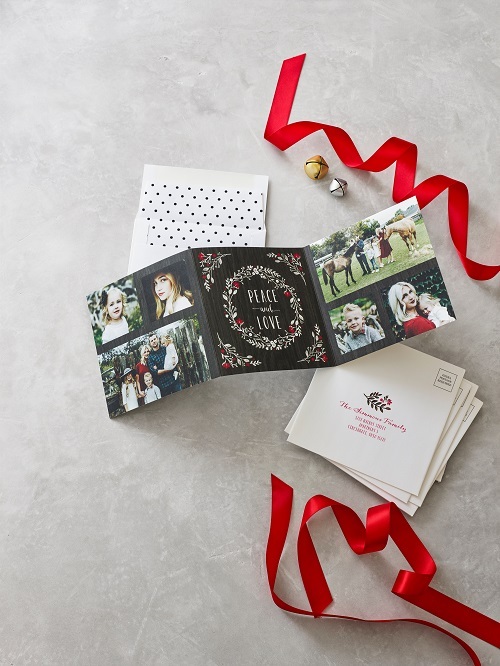 These beauties are the types of Christmas cards that you’ll find at specialty paper stores and high-end boutiques. But here you can purchase them from Amazon at a fraction of the cost! That’s enough to make any holiday brighter. Holiday postcards are super fun. And this collection of cards is just too adorable for words. They’re just so stinkin’ cute! Do you spot a favorite among the bunch? If I had to choose just one it would end in a tie between the Santa snow globe postcard and the Nutcracker one. But I know my own family would love one of each! These stylish traditional gift tags are printed on high-quality paper stock with beautiful ink and images. When it comes to sweet and colorful illustrations on gift cards and accessories, if you’re a bit like me you’ll find it hard to pick just one! I love creating freebies! And to celebrate the season, here’s a printable Christmas Card for you to enjoy. Simply down download the PDF, press print and you’re ready to go. I’ve uploaded two sets of cards – one with a dark background and one with a light background so you can print just your favorite or print them both ways. The best holiday gift guide this season: Christmas gifts for teens and tweens.